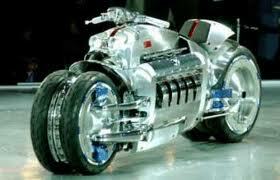 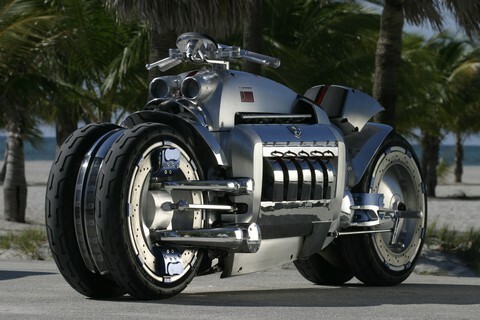 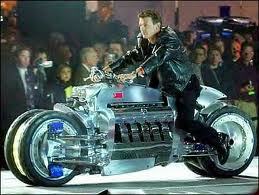 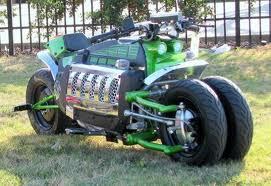 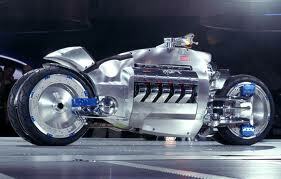 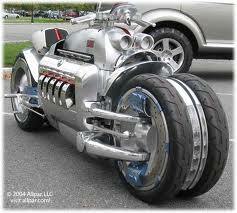 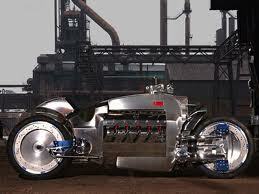 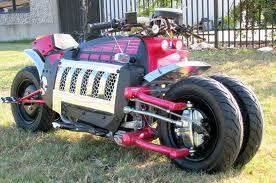 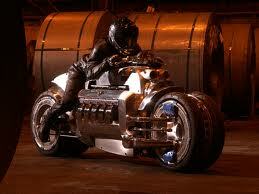 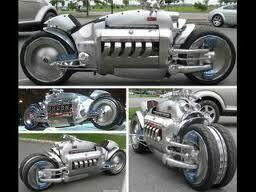 The Dodge Tomahawk was a non-street legal concept vehicle introduced by Dodge at the 2003 North American International Auto Show in Detroit, Michigan. 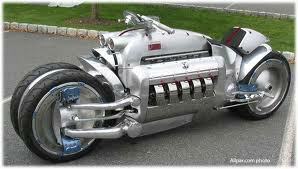 The vehicle has two front wheels and two rear wheels, making it a kind of motorizedquadricycle rather than a typical motorcycle. 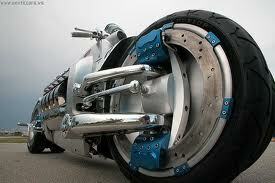 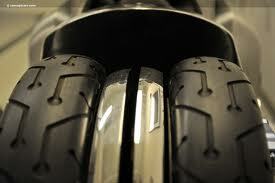 The pairs of wheels move independently, allowing it to countersteer and lean in turns like a motorcycle. 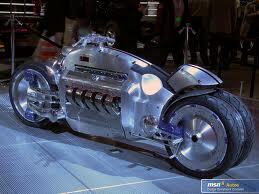 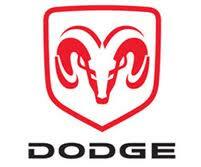 Dodge initially announced the top speed of the Tomahawk was estimated at 420 miles per hour (680 km/h), but later revised this downward to 300 miles per hour (480 km/h). 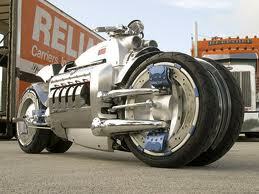 The Art Decodesign was the work of Chrysler staff designer Mark Walters and featured the 500 horsepower (370 kW) 8.3-litre (510 cu in) V10 SRT10 engine from the Dodge Viper.